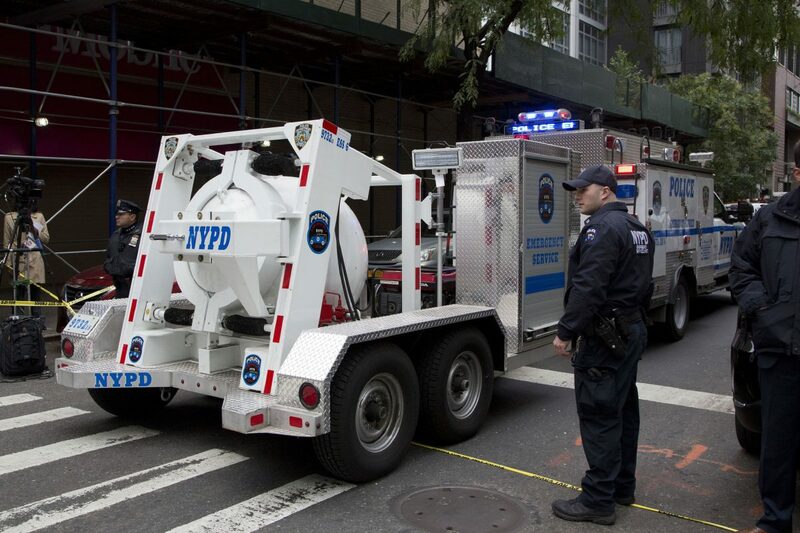 A police truck tows a total containment vessel to a post office in midtown Manhattan to dispose of a suspicious package, Friday, Oct. 26, 2018, in New York. Two law enforcement officials say a package closely resembling parcels sent to critics of President Donald Trump has been found at the postal facility in Manhattan. The suspicious package was discovered by postal workers. WASHINGTON — The Justice Department says a person has been taken into custody in connection with a series of package bombs sent to prominent Democrats.